Two years ago I finished my English Literature degree. During the three years leading up to that point I read A LOT of books - as you would expect - and whenever I tell someone what my degree was in I always get asked 'what did you read'?. Most of the time I think people are hoping I'll mention a book that they've read as well, and whilst some of the bits I read were the usual classics, a lot were pieces that you wouldn't generally read unless you had a specific interest in the area. That being said, I thought I'd share with you my top reads from my degree that I think you should give a try. I'll share a bit about what each book entails but I will stay vague so that I don't ruin anything for you! Now we've all seen the Disney film, but have you all read the book? I had read Alice's Adventures in Wonderland previously, but I had not read Through the Looking Glass. I read both of these as a part of my Romantic and Victorian Prose module. It was really interesting to read them both together and look at them from a literature background on such things like the representation of childhood moving towards adulthood, both within the text and the difference in images between the two. Alice's Adventures in Wonderland is different to the Disney film, but still follows the tale of Alice falling down the rabbit hole and her adventures in Wonderland with the Mad Hatter, the Cheshire Cat, and the Queen of Hearts. In Through the Looking Glass Alice is a little bit older and goes through a mirror to a parallel-type world where there are familiar faces that appear as different characters because Alice cannot recognise them for who they are because she's starting to move away from her childhood. I read The Reader as part of my Representation of the Holocaust module. The Reader is split into three parts, focusing on different stages of Michael's life and his relationship with an older woman Hanna Schmitz. Although focusing on the pair, the book deals with the difficulties post-war German generations had in comprehending the Holocaust, and examines the figure of the perpetrator as part of this comprehension. Caleb Williams was one that seemed to split people I spoke to in my module; most of my friends hated it but I really enjoyed it. I read this as part of my Restoration and Eighteenth Century Literature module which was an era that I had never really read anything from; at school it seemed to be you read Shakespeare and then jumped into the Victorian era. Caleb is told a story about a man he works for, Falkland Ferdinand, and begins to examine details of his life which leads him to the conclusion that he thinks Falkland is a murderer. The book then follows the revelation of this, and the pursuit of Caleb by Falkland to ensure that his secret is not revealed. I read a few of Katherine Mansfield's short stories in my first and third year, for my Studying Prose module and my Modern Literature module. In particular I read The Garden Party, At the Bay, and Prelude. The stories are obviously all different but what drew me to her writing was her connection with prominent issues like class through her pieces. I bought the collection when I finished my degree because I enjoyed the stories and wanted to read some more! Auschwitz and After is a beautifully heart wrenching collection from Birkenau survivor Charlotte Delbo. I also read this as a part of my Representing the Holocaust module, and 'None of Us Will Return' focuses on Delbo's experience of the camp. Delbo, a political prisoner, explores her experience through poetry and prose, and along with her own experience, shares the experience of others in the camp who are unable to share their own. In Cold Blood is a non-fiction novel detailing the murder of the Herbert Clutter Family, and I read this as a part of my Contemporary Literature module. It examines the lives of the four members of the family, the two murderers, and other residents of the town. I found this interesting not only because of the non-fiction aspect, but also with its engagement with questions about the death penalty and being on death row. I read My Grandfather Would Have Shot Me for my dissertation; Jennifer's mother featured in a documentary that I was focusing one of my dissertation sections on, about descendants of prominent Nazi perpetrators. This book follows Jennifer's discovery of who her grandfather was, and also focuses on her turbulent relationship with her mother and examines her attempts to come to terms with the revelation of her ancestor. 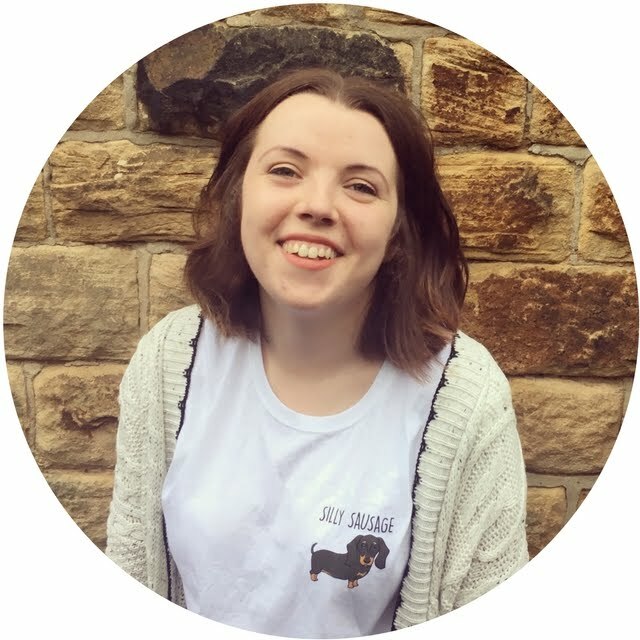 I've already talked about how much I love Tess way back when I did a post on the 10 Books That Left a Lasting Impression and my Top Five Classics and if you are still yet to read it surely my third time recommending it should be enough for you? I was able to read this as part of my Darwin and the Nineteenth-Century Novel module, and I know this is a book that I will continue to re-read throughout my life. I'm not entirely sure what it is about Tess that I love; it's a very depressing book but Hardy writes so beautifully which is why he is one of my all time favourite authors. I think it's also because Tess was one of the first 'classics' that I read at A Level and was the start of what became my absolute love of English Literature as a subject. This book focuses on Tess, a farmer's daughter, whose father discovers they are descended from an old family called the D'Urberville's, and the journey that befalls her after this discovery and the lasting effect this discovery has on her and her family's life. I had read a few Jane Austen novels before I went to University; Pride and Prejudice and also Northanger Abbey and Mansfield Park, so I enjoyed having the chance to read another one of her novels as a part of my Romantic and Victorian Prose module. The story focuses on Anne Elliot whose family are moving to get out of debt. Previously Anne had been engaged to Frederick Wentworth who at the time was not wealthy and had no great family name behind him but in the present Anne and Frederick meet again, both still unmarried but Frederick now a wealthy man. As with most Austen novels this has issues of wealth and class throughout and the importance society places on both of these. Can you tell that I like a good Victorian novel? 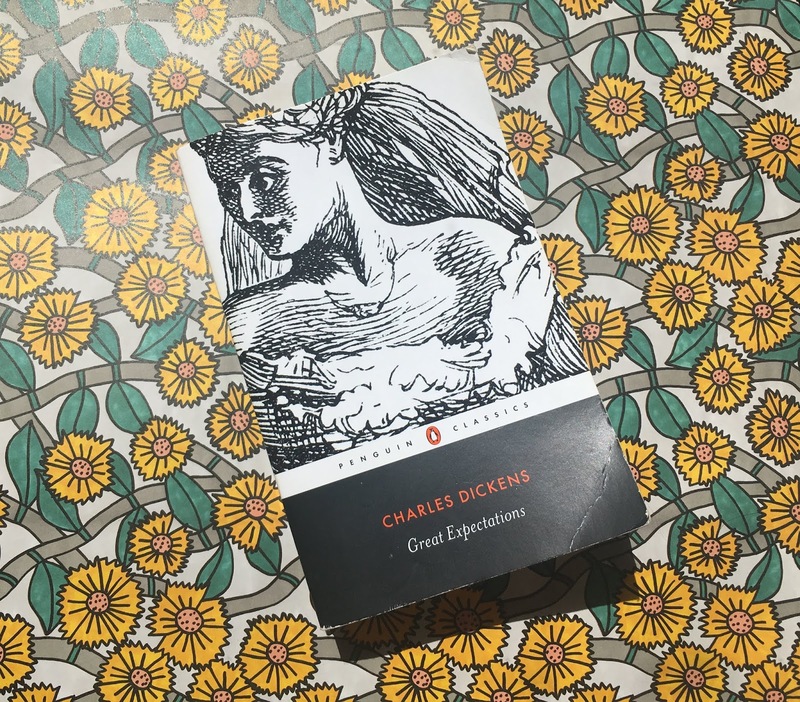 I hadn't really read much of Dickens but knew a lot of the stories, and I had a vague idea about Great Expectations and its characters. This follows the journey of Pip from childhood to adulthood, from the point of view of adult Pip. In particular it depicts the character of Miss Havisham and the impact that Pip's encounters with her has on his life. Pip, a poor orphan, is pushed into the world of wealth and luxury by Miss Havisham as part of a wider plan she has, and the story focuses on the themes of wealth, class, love, rejection and good and evil. I hope that this has been able to provide some ideas of new books to read that you might not normally engage with. Have you got any recommendations for me? I've gotten back into reading this year as I set myself the goal of reading twelve books in twelve months and I'd love to add some of your recommendations to my to read list! It's now been two years since Tom and I moved out of our student house and into our own house (how quickly has that gone?!). We all know that there are certain limitations on how much you can do to put your own stamp on the a rented property; you can't go knocking down walls or ripping out the kitchen, but there are loads of ways you can turn your standard house into a home! Whilst in our student house we decorated our individual rooms; moving to a house meant that we suddenly had five rooms to decorate, in a way that both of us were happy with. Luckily Tom's quite chilled with decorations, but there were still certain things he wanted in the house so we had to reach a compromise on some specific items (e.g. Tom's Ipswich Town merch). So when you come into our house you are immediately in the kitchen. Despite having one cupboard each in our student house we have easily filled up the cupboards we have now. It's so much easier having designated cupboards for different things, and as our kitchen is fairly small we've tried to not to crowd the worktops with items. As the kitchen walls are tiled we are not able to put up any clocks/pictures etc, so we have covered one side of our fridge in magnets. Moving through our kitchen you then come to the lounge. The big things like the sofa/dining table/coffee table/mirror belong to our landlord so we didn't have to worry about splashing out on these items, but everything else we've added ourselves. I think a big point is that although you may rent a house that is furnished, you can still add in your own pieces of furniture to suit your needs. One of my favourite areas of the lounge is the picture wall behind the sofa, which we continue to add to. (I know not all landlords allow people to put things on the wall, but ours were happy with it as long as we fill the holes in when we leave). Having the big mirror on the wall where I would assume used to be a fire place, really opens up the room and makes it seem a lot bigger than it actually is. As you can probably tell Tom and I love a good film which is why we have an extensive DVD library in our lounge. When we were looking round this house I could see where our furniture would fit into this room, and we've put two bookcases together to create a mantelpiece type area below the mirror, and means that all of our DVD's are out where we can see them together. On top of the bookcases we have a couple of plants (ones that don't take much to look after! ), a few candles and pictures, and to make it more cosy I've interspersed a set of fairy lights which we can turn on in the evening. This big bookcase on the right was left here by the previous tenants as when we looked round they said they were going to get rid of it when they moved out so I asked if they could leave it for us. It's not great for books because there's no back and there's obviously been something heavy on some of the shelves as they're not quite straight, so I turned this into a decorative area that's still functional. We store our cookbooks on the bottom shelf, and then the rest of the shelves house different decorative items - the majority of these we already had when we moved in so it was just about putting them out in a way where they worked together. We're very lucky in that our bedroom is large and can accommodate a lot of storage - again the big things like the bed, a couple of the chest of drawers and our wardrobe belong to our landlord, but we've added in bedside drawers, a dressing table, and we've bought another chest of drawers. Again we have some pictures on the walls, and we also have a tv where we can watch films and also play on our Playstation One! On our chest of drawers we have different objects that we've collected together over the years. We live in a terraced house, and we're lucky that we have the extra space of having our bathroom go over the alleyway, which means we gain a second bedroom. Our bathroom is small and again we can't put anything on the wall because it's tiled, but doing small things like using a patterned shower curtain makes the room feel like ours. Our second bedroom houses all of our books and has all my craft bits in. I'm going to be cheeky and not show you this room quite yet because we want to redesign how we use this room and I want to be able to show you the process of this in another post! Living in a rented house doesn't mean that you can't make it into your own home and design things your own way. Even if it comes with furniture you can still buy your own, and move your landlords about to accommodate what you need - our bed was the other way round when we moved in but by moving it to where it is now we opened up a lot more of the space available to us. Always check with your landlord if they're happy for you to put things on the wall, and if not there's plenty of ways you can still put up pictures to make it personal to you. Also rented or not, it's always good to keep in mind that it is never going to be exactly how you want it right away and you'll find you change things as you live in the space and redesign as you go along (a perfect example of this is how we are planning to redesign our second bedroom into a proper office space). I hope that you've enjoyed having a look into our we have decorated our home and I hope it's provided some inspiration for you in your space. 1.// At the start of the month I went on holiday with Lucy to Whitby, and amongst other things we pretended to be Dracula at the Abbey. 2.// The month was filled with sunny trips to my parents house and brawls between Tilly and Max. 3.// Tom and I ventured to the Beer and Cider festival at the Students' Union where it was reaffirmed that I do not like Beer unless it's fruity. 4.// We had a heatwave on the first May bank holiday weekend and took a trip to Castleton where Tilly loved going in the stream. 5.// Whilst in Whitby I had a paddle in the sea which was freezing cold. 6.// The second bank holiday weekend saw another heatwave and my parents whacked out the BBQ which was LUSH. 7.// Because of the hot weather we took many a trip to Rivelin so Tilly could go for a dip in the weather. 8.// I finished my sixth book of 2018 and so I'm already half way through my goal of 12 books in 12 months and I'm actually on book eight at the time of writing this! 9.// All the bank holidays meant that I got to spend lots of time in the sunshine with Tom, Tilly, Max, my parents and Grandad. Although I started a bullet journal back in August of last year, I've been using this notebook for 2018 (you may remember my post where I talked about how I had set it up for this year) and thought this would be a good time to let you know how I've been getting on with it, what I find works for me, and to show you my set up for June. Dots are definitely better than lines. When I originally started using a bullet journal my notebook was lined (I hadn't bought it with the intention of using it as a bullet journal but then I found myself swept up in bullet journal videos and wanted a go myself) but for 2018 I went for the Leuchtturm1917 and I've found the dots to be less restrictive and it's simple enough to draw a (near enough) straight line along the dots. I've found the future log section really beneficial as I can write down any appointments or things I need to remember in a certain month ahead of that month, that I can refer back to when it comes around to setting out that months spread. For the monthly spreads I start with a title page so that it is clearly defined and I give each month a theme. For June I went for lavender - sometimes I'll do some drawings on the title page but I think printing out images and sticking them in with masking tape looks just as good and doesn't take up loads of time. After my title page comes my calendar layout for the month over a double page spread. I've tried out a few ways of setting out the calendar but I've found this works best for me as I can clearly see what's coming up, and the squares aren't so small that I can't write anything in them. After this it usually changes dependent on my needs/what I've got on, but for June I've set out a double page for shopping lists (food shopping that is), and then I've drawn out a weekly spread. I'll be honest with you, I haven't used a weekly spread throughout the year, but I thought I'd give it a go this month and see how I get on. After my weekly spread I've then designated a page for blogpost ideas - I really like using a bullet journal because I can decide on what order I want things to be in, and I can try out different things and see if they work for me (FYI any kind of 'trackers' that other people seem to use do not work for me). In a normal diary you would just have the set days, but in my bullet journal I can have a shopping list on one page and then a Eurovision sweepstakes on another (Tom won this year). I like that I can use it for random things but also for keeping track of appointments and having these all together in one place is so useful. I know that I'll continue to adapt how I use my bullet journal over the year and will report back to you once we hit 2019 (how scary is that?). I'd love to see any of your bullet journal posts - be sure to link the below!